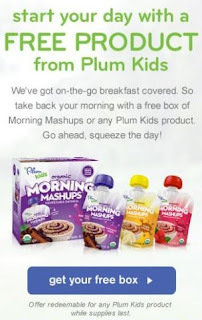 FREE Box of any Plum Kids Product! Wahoo! Head over to Plum Kids' Facebook page to request a coupon to get any box of Plum Kids product for free! NOTE: It took my about 15 minutes of refreshing the page, but I finally got through and received confirmation that I will get my coupon in about 2 weeks!